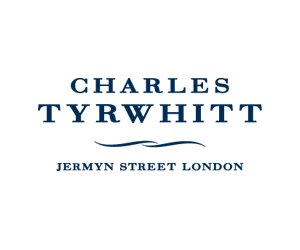 At Charles Tyrwhitt (pronounced "Tirrit") we endeavour to produce the finest shirts and menswear, with timeless style and no compromise on quality. Producing the best men’s dress shirts is our mission. Over the years we have developed our range to include everything from formal shirts to separates, suits and shoes, in addition to a casual collection, knitwear and accessories. Some retailers have their own policies and restrictions. Before shopping, please ensure you review the Special Terms of Charles Tyrwhitt Shirts (above) for further information. Complete your purchase in one session and without leaving Charles Tyrwhitt Shirts. Do not click on any bookmarks or advertising banners or links once you leave ANZ Bonus Points Mall. Restrictions: Offer excludes Charles Tyrwhitt Exclusive Collection and Luxury shirts. Offer excludes delivery costs, gift vouchers, gift boxes and alterations. This offer is not valid in conjunction with any other offers. From receipt of your order and payment in full we aim to deliver to the Serviced Areas within 12 working days, stock permitting and subject to you providing us with the correct delivery address. Please add an extra 4 working days if you require customisation. For monogramming and customisation details please see our Website. All orders are charged in AUD. Orders sent to Australia will not be charged VAT although they may attract customs charges in some instances and we apologise that we are not able to refund these charges. As Australian customers are ordering from outside the European Union, your order may incur import duties and/or taxes. You are entitled to return purchased products within the 6 month period above given that you can provide proof of purchase (receipt, confirmation email or order number). We will examine the returned product and will confirm via email whether you are entitled to the requested refund or exchange.